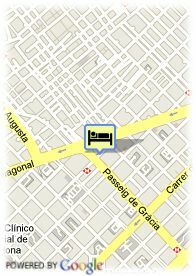 Calle De Rosselló, 265, 08008 Barcelona, Spain. The exclusive Hotel Omm is located in the heart of Barcelona, enjoying superb views of Gaudí's house La Pedrera. The hotel has the prestigious Restaurant Moo, run by the Roca brothers (Celler de Can Roca, Girona), and has been awarded two Michelin stars. 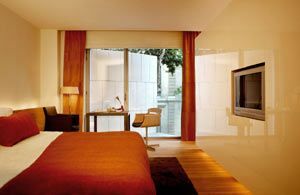 The hotel's facilities also include the Spaciomm, which contains both a Spa and a Health Club. The hotel has 92 superb guest rooms. Valet parking, Paid covered parking at the hotel (32.00 €). Visa, Diners Club, Maestro, Mastercard, American Express, Carte Blanche, Carte Bleue. Hotel Fira Palace is a elegant hotel of contemporary style equipped with a few magnificent facilities.